Dow Jones Today, Sept. 17, 2014: The Dow Jones Industrial Average closed at a record high Wednesday afternoon after the U.S. Federal Reserve released a statement that indicates its intent to maintain low interest rates for "a considerable time." Markets were quiet for most of the day, as investors were looking to determine whether the central bank plans to boost interest rates before the consensus expectations of mid-2015. The central bank will keep rates low as its massive bond-purchasing program ends next month. On the international front, markets in Europe were mostly flat the day before Scottish voters go to the polls to decide whether they want independence from the United Kingdom. A vote "yes" could lead to structural problems in the British banking sector and drive greater geopolitical volatility. Merger Mania: Shares of Auxilium Pharmaceuticals Inc. (Nasdaq: AUXL) were up 45% on news that the company is exploring a potential $2.2 billion takeover bid from Endo International Plc. (Nasdaq: ENDP). Shares of ENDP rose by more than 4.5% on the news. It Begins: Shares of Net Element International Inc. (Nasdaq: NETE) were up more than 20% intraday after the company announced plans to integrate Apple Pay in its point-of-sale payment hardware and software. The news is the first of what is expected to be many deals that tech giant Apple Inc. (Nasdaq: AAPL) is expected to ink following the introduction of its new payment services last week. 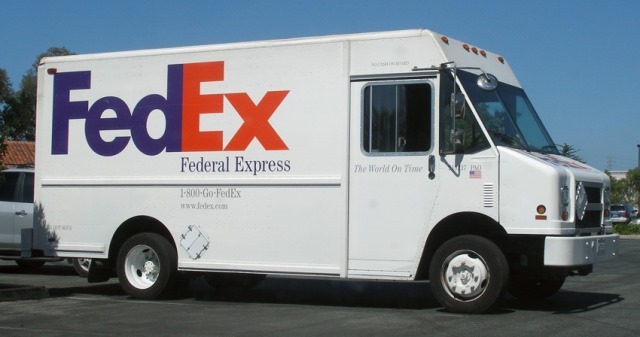 The Big Beat: Shares of FedEx Corp. (NYSE: FDX) were up more than 3% today on news that the company beat consensus quarterly earnings. The company reported per-share first-quarter earnings of $2.10, beating market estimates of $1.96. The company announced plans to increase its shipping rates by an average of 4.9% in 2015 and said it expects a busy holiday season, driven by heavy e-commerce orders. Its rival United Parcel Service Inc. (NYSE: UPS) announced yesterday that it plans to add 95,000 temporary workers ahead of the holiday season in order to meet expected demand. UPS shares were up more than 1% on the day.